I was thinking this morning...... about rodents and the enemies within. 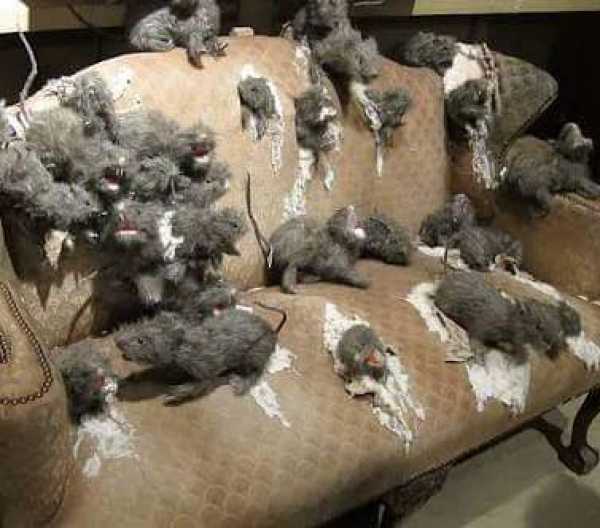 A friend was invited to attend a workshop at the Banquet Hall of the Presidential Villa, Abuja during the week and two days earlier the news of rodents invading the President's office had broke. He didn't know what to think. What should he wear to such an event to be protected, in the event of a sudden 'rat attack?' Should he wear his safety boots or regular brogues? Should he decide to fast the day of the program, in the event that all the food at the Villa had been contaminated by rodents? Lassa fever is real you know. He tried to calm himself that all is well, but couldn't. His thoughts drifted to one of the headlines from BBC that says 'Rats chase returning President out of Villa.' At this point, he was becoming angry about how this unnecessary information has brought us so much ridicule and heartache. As he related his experience, I wondered how we got to this point. I recalled the words of the old cartoon, Pogo, that says "We have met the enemy and he is us.' Truly, the enemy of this government are the people running the government. How else can you explain why the SSA did not just tell Nigerians that the President will be working from home without adding the ludicrous excuse that rodents had destroyed the President's office. We have met the enemy and he is us. Think about it, rodents will usually be most destructive from within the house. You see, there will always be rats but the problem is the rats within and not the rats without. According to my friend, for the over four hours spent at the Banquet hall of the Presidential Villa, not one rat 'waka pass' neither did anyone smell Lassa fever. Why then the unnecessary distraction about rodents in the Villa? I concluded that we have met the enemy and he is us. I shudder thinking of how true the statement is that we are our enemies. You read reports of corporate espionage and it is usually not by anyone outside but by a staff of the organization selling out his employer. It is the rat within that is the dangerous one. Needless to mention the multiple reports of family members and friends back-stabbing their supposed loved ones. They are the rats within. Truly, we have found the enemy and he is us. As I draw the curtain over my thoughts, I found out that rats are extremely social and affectionate animals and enjoy the company of other rats and humans. Yet they will destroy you by being close. How typical! Interestingly, I also discovered that without companionship, rats tend to become lonely and depressed. So to avoid the destruction, just screen them off.